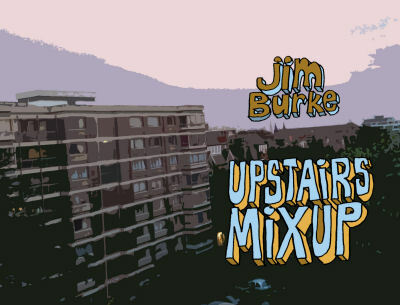 Jim Burke has played across the world over the last fifteen years, in many different guises and with many different bands. Some of his notable achievements have been: Djing at John Peel�s 60th and 65th birthday parties at Peel Acres; Playing ukulele at Norman Cook�s Party at his seafront house in Brighton; recording one of the most popular football songs of the last 20 years; touring the UK with his Sgt. Rock show including a Mexican wrestler, a disco diva and a man with a giant yellow smiley for a head; ruining the Inspiral Carpets� 94 Glastonbury show by rapping a version of Black Sabbath�s �Paranoid�; showing Japanese clubbers what old skool hip-hop sounds like on a ukulele; refusing to go on Top of the Pops when asked (because that�s what the Clash did); singing on the roof of the LWT building on the south bank and beating the Sugarhill Gang�s Skip McDonald at pool. This diversity of experience is reflected in his musical selection . So check out his fortnightly show on Sundays from 8pm-10pm GMT and watch out for special guest appearances by Mr B Gentleman Rhymer!